I don't dine solo very often and it is virtually unheard of that I get a takeaway, but every couple of months there is a night when I just don't want to cook. Usually prompted by not having anything in the cupboards and not wanting to go to the shops. 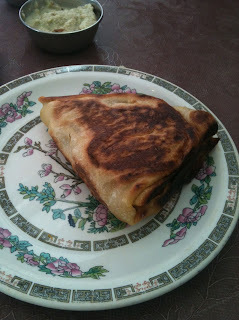 When the time hits I want somewhere tasty, local, cheap and friendly to solo diners (it still makes me self conscious). In Sydney my venue of choice was Menya Mappen. Here in London it is Everest Curry King in Lewisham, just a short walk from where I live. They advertise themselves as a Sri Lankan and South Indian restaurant. Both my Sri Lankan and Indian friends have told me this is an unusual combination as the cuisines aren't known to mix. There are a couple of distinctly Sri Lankan items on the menu (egg hoppers and Sri Lankan rolls) but the rest of the menu seems pretty Indian to me. It has a slight canteen feeling with two large display fridges filled with curries and savoury treats. 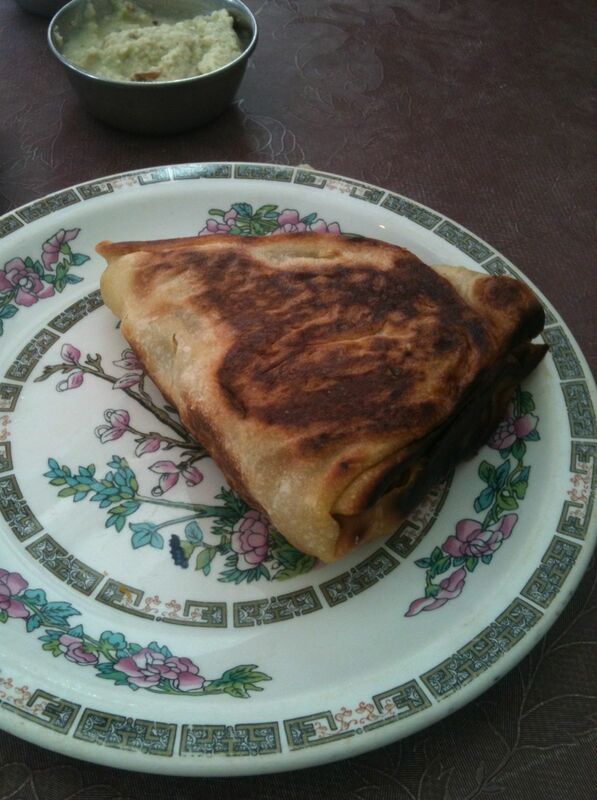 You make your selection, they give it a quick reheat in the microwave and then bring it to you at you table. Reheated food might not sound appealing, but this place is good. If I am dining alone the set meal is my standard choice. A huge plate of rice accompanied by as many curries as they can pile on for you, I generally go for five or six. At £5.90 for the vegetarian option and £6.80 for the meat set menu, it's good value in my book. The curries which I seem to return to most often are the spicy aubergine, milder dahl and the medium lamb curry. But you can't really go wrong with any of the options. Over my four visits I've tried nearly all the vegetarian and a few of the meat options now. As well as dining solo I've also been with friends a couple of times which has allowed me to try a few of the savoury items and a masala dosa. The dosa was good, the vegetarian roti is surprisingly spicy and the vada have a bit of a kick too. 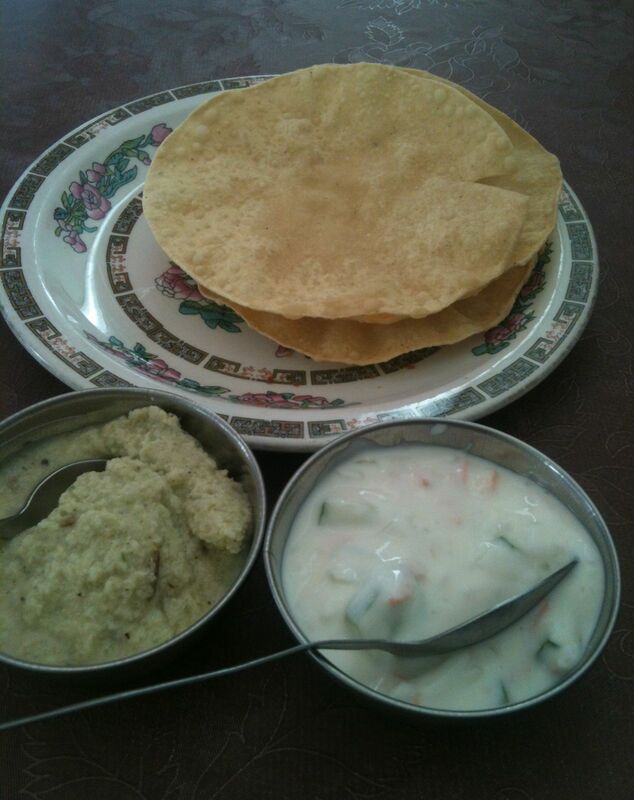 I'm a fan of the coconut chutney that you get accompanying the vada. With friendly (I suspect family run) service, tasty food and good value, this place is likely to stay as my preferred go to option on the nights when I just don't want to cook. 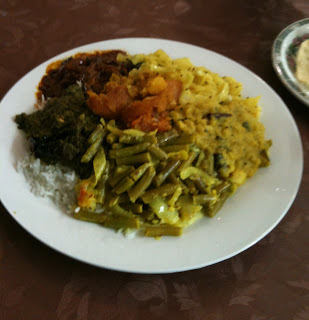 This is particularly Jaffna food. I should know. I am a Jaffna Tamil.